You should never detox from alcohol, benzos, or opioids on your own. This article from expert drug and alcohol counselor, Amy Sedgwick, explains why. ARTICLE OVERVIEW: You should never try to detox from alcohol, benzos, or opioids on your own. This article reviews the dangerous side effects of withdrawal from these substances. Then, we invite your questions at the end. 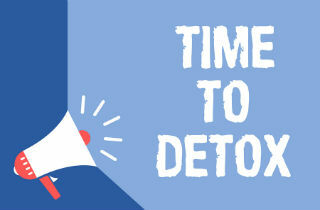 Detoxification is the process of removing any hazardous chemicals from the body. It is an essential first step if you are looking to rid yourself of addiction and begin a healthy, substance-free life. During this stage, you may feel extremely sick and uneasy as toxins leave your body. Often, medical detox can help address symptoms to help minimize discomfort. But in other cases, detox may be necessary. If you are trying to overcome alcohol, opioid, or benzodiazepine addiction, detox can dangerous – sometimes even fatal – without medical assistance. In particular, if you are dependent on alcohol, opioids, or benzodiazepines, you should aim to address your addiction in the safest way possible. When you detox from these substances, withdrawal symptoms can be severe and difficult to manage at home. Likewise, detoxing alone is risky because it increases the likelihood of an overdose. Plus, detoxing alone is not a suitable replacement for valuable forms of treatment such as medication assisted treatment (MAT), which can reduce your risk of relapse. In sum, clinical detox is the safest option for addressing addiction, and for many, it is a step that serves as the foundation for a lasting recovery. Let’s look at each type of detox, its risks, and common side effects here. With its legal status and wide availability, alcohol is the most frequently used addictive substance in the United States. Because quitting alcohol when dependent can induce severe side effects like seizures and heart failure, you should not attempt to overcome alcohol dependence alone, especially during the detox phase. These many potential side effects can make the detox process excruciating for some. Alcohol withdrawal symptoms can begin eight hours after you stop drinking. Discomfort is especially prominent within the first few days of detoxing from alcohol, and mental health symptoms can take weeks to subside. If you drink heavily and suddenly stop, you may contend with a more intense form of withdrawal known as acute alcohol withdrawal syndrome (AWS). High blood pressure, tremors, and seizures are some of the major indicators of AWS. This condition is often accompanied by a complication known as delirium tremens (DT), which significantly alters your mind and nervous system. Both AWS and DT can cause more severe health problems, such as difficulty breathing, heart attack, and coma. These risks can be minimized with the help of a medical professional, who can alleviate painful withdrawal symptoms and examine your vital signs to ensure your well-being. A professional may also administer addiction medications designed to lessen alcohol withdrawal symptoms, such as Vivitrol. Though prescription opioids can help manage moderate to severe physical discomfort, they can be dangerous when taken for longer periods or in higher doses than medically recommended. Fentanyl — which is up to one hundred times more potent than morphine — often factors into deadly overdoses, as users frequently do not realize that the opioids they have been taking, such as heroin, have been laced with fentanyl. In 2016, opioid misuse caused over 42,000 fatal overdoses across the country. Because you can easily build a tolerance to opioids, you will likely experience severe cravings during the detox process that can tempt you to use again. When you detox alone, you have access to drugs, making it even easier for you to relapse. Relapsing after attempting to detox from opioids at home can be life-threatening because your body’s tolerance for the drug may not be the same, potentially leading to a fatal overdose. Though not all of these symptoms are deadly, they can cause immense discomfort and may last for weeks. Opioid withdrawal symptoms also impact the mind and the body quickly, depending on the type of opioid used. Heroin withdrawal symptoms, for example, may appear within only 12 hours of your last use. Detoxing at a treatment center can make all the difference in your recovery from opioid addiction. In addition to counseling and support, a professional can also address painful withdrawal symptoms through the use of addiction medications, if appropriate. Options for addressing opioid addiction through medication-assisted treatment in a rehab facility can include prescription medications such as Suboxone, Sublocade, and Vivitrol. Because they are prescription drugs, benzos are often considered harmless. Lulled into this false sense of security, some users abuse benzos and develop a tolerance after using them for more than two to four weeks. In an attempt to experience the same sedative effects, many end up overdosing on benzos, which contribute to about 30 percent of fatal opioid overdoses. When combined with alcohol or opioids, benzo use can be life-threatening because each of these substances can limit breathing and inhibit brain function. Detoxing from benzos without medical supervision presents many dangers, including an increased risk of seizures. The detox process for benzodiazepine addiction can be complex to navigate because some of the withdrawal symptoms that may appear, like panic attacks and anxiety, may have been the reason users started self-medicating in the first place. As a result, if you are accustomed to taking benzodiazepines for medical reasons, you may find discontinuing use particularly daunting. Withdrawal symptoms typically start within a day of discontinuing use and may persist for months. Even in a medical setting, detoxing from benzodiazepines can take 10 days, whereas detoxing from alcohol or opioid addiction under similar conditions may take 5 days. If you suffer from benzodiazepine addiction, attempting to detox alone could have devastating consequences. As the first step on your road to recovery, detox is a crucial stage that lets the body heal from toxic substances. Medically monitored detox offers the best chance for your body to recover from any harm caused by substance abuse, but it can help you in other ways as well. 1. It provides you with an environment that is more conducive to a sustainable recovery. Medical detox introduces you to a team of addiction treatment and mental health experts who can not only address your physical and psychological withdrawal symptoms but also help you determine the next steps in treatment. Attending clinical detox removes you from any triggers connected to your current environment, and distancing yourself from toxic elements in your life can eliminate stress that may have been driving your addiction. Detoxing in a medical setting, therefore, helps you to focus on your health and makes you less likely to relapse. 2. It gives you the opportunity to test for other medical conditions. Through medical detox, individuals also have the option to undergo testing for HIV and hepatitis C, conditions that may have been spurred by their substance use. A medical team can help you uncover any underlying medical conditions that you may not have realized otherwise, giving you the option to seek treatment and live a longer, healthier life. 3. It encourages healthy lifestyle choices. Because proper nourishment is essential for helping the body recover from addiction, nutrition is a central component of some clinical detox programs. During active addiction, many individuals experience changes in appetite or weight. Learning the basics about nutrition and how to practice mindful eating in early recovery can help restore physical well-being and build a strong foundation for your sobriety. Some clinical detox programs also offer sleep education classes that teach you healthy resting habits, which can help your body and mind feel even more rejuvenated in the long term. We hope that have encouraged you to get medical help anytime you’re considering getting off these 3 types of drugs. You don’t need go through the process of recovery alone. There are people who can help you with the struggles you’re facing. Get in touch with one today. If you or a loved one suffers, contact us today. Or, if you have a question…reach out. You can feel free to leave a comment below. We try to respond to all comments personally and promptly. About the Author: Amy Sedgwick is the Director of Clinical Operations for Mountainside Treatment Center. She is a Licensed Alcohol and Drug Counselor as well as a Nationally and Internationally Certified Advanced Alcohol and Drug Counselor. At Mountainside, she oversees Residential, Outpatient Services and Family Wellness programs, ensuring each team provides best in class service and care to every client. Amy is also on the Board of Directors for the Connecticut Certification Board (CCB) which provides nationwide training and addiction counseling certification.